All Waitemata Hunt merchandise items (excluding the stock pins) are available to purchase from to order via email info@waitematahunt.co.nz, simply email your order through and collect it at the next available meet! 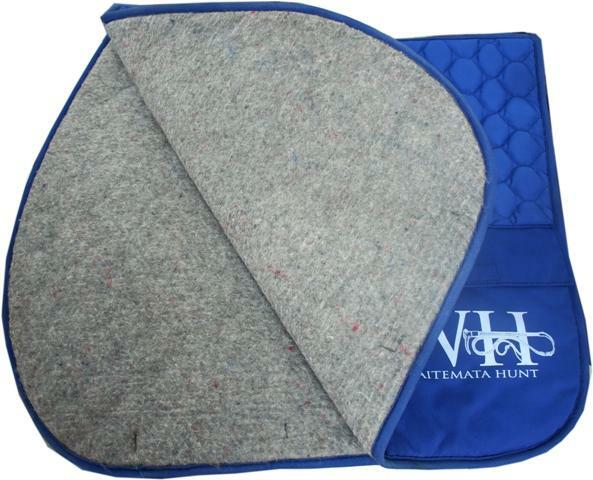 Fleece lined, quilted saddle blankets, with double pockets and pouch. Finished in Waitemata Hunt blue, with logo embroidered on pockets. Durable and hard wearing, these blankets will last more than a few seasons of hunting. $180 each, order direct from BJ Merino. 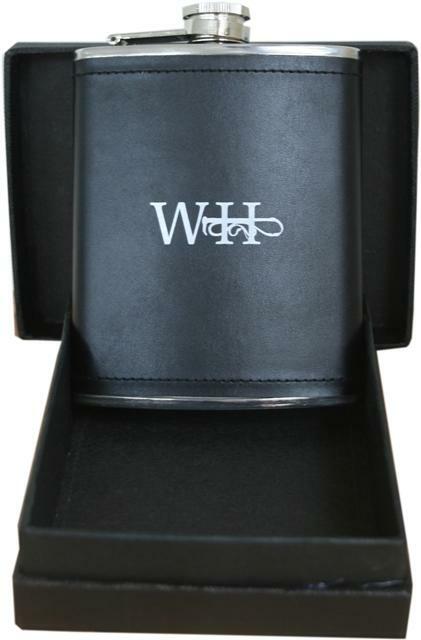 These stainless steel leatherette finished hip flasks are available from the Secretary - only $40, and holds a lot of liquid refreshment! Hunt buttons are available for purchase from the Secretary for members only - gold with WH embossed, large $2.50, and small $2.00. Are available to order in silver and gold from Chateau jewelers Huapai. The cost is $480.00 for gold and $85.00 for silver with an option to add on a gem stone. To order call Natalia on 09 412 9899.